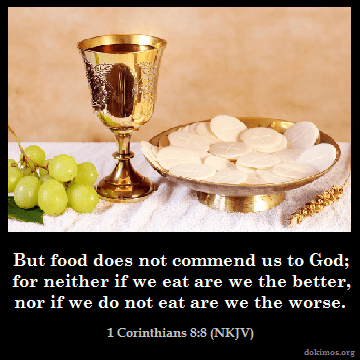 No communion cup & bread can save you, but Jesus will! Christ is received by faith, not by oral ingestion. The blood of Jesus Christ is received by faith. You cannot receive Christ by drinking alcohol. Stop trying to douse yours sins with the booze of Catholicism. The cup Jesus used in His analogy was filled with the fruit of the vine, not His own actual blood! You cannot receive Jesus through the Roman Mass. Receive Jesus Christ as your Savior, personally, by putting trusting faith in Him. we invite you to read this article… The bread of life does not change.